We have our county covered north to south! This past Thursday I visited the Titusville Art League for some fun, chill stamping and lots of giggles and fun! 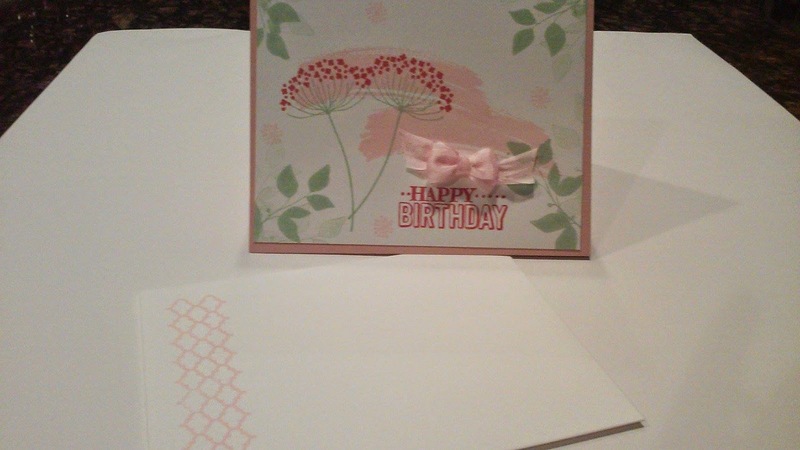 The gals created the two pretty cards you see here below! We reprised the "Hello" card that we made in Monday's classes. We used the stacking order in the last post for the "hello" and it works like a charm! Check it out! 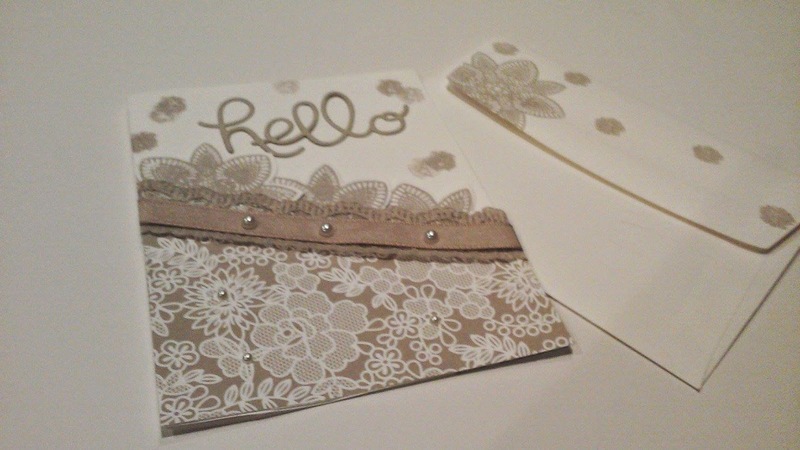 I based this card on one that I had seen in "Stampin' Success", our Demo magazine. I had to add the beautiful Something Borrowed DSP from the Occasions Catalog. So elegant and beautiful. I love it all over again each time I look at it!! GOJUS!! We also used as a basis for our second card one of our earlier cards from February. It's never too early for spring here in Florida! I love the colors of Strawberry Slush, Pear Pizzazz and Pink Pirouette together, don't you? We combined the Summer Silhouettes with the swoosh from Work of Art. Love it!! Thank you, Titusville gals, for a fun afternoon together! !